To be honest, I've never been a big fan of baked Camembert or Brie. I always thought I'd rather eat the cheese unmanipulated. 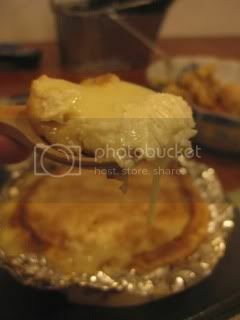 However, when I smoked Camembert in my donabe smoker, "Ibushi Gin", it was such a shocking experience...I couldn't believe how great it tasted! 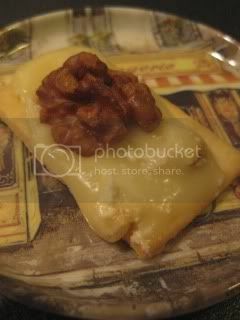 I smoked Camembert and walnuts together and they turned out to be the awesome combination. 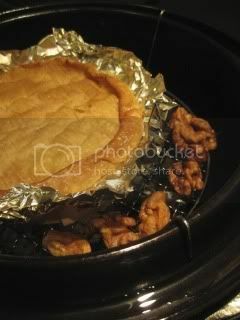 It's super easy to smoked Camembert and walnuts, because you can just let the donabe do the job. And, they become something really special. You don't even need to get a fancy Camembert. Just a regular French kind is fine. 1. Put Camembert (in a case) in freezer for 2-3 hours (semi-freezing the cheese will help keeping it from getting too runny when smoked). 2. 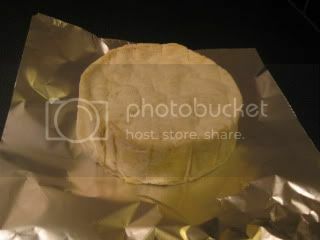 Remove Camembert from the case and remove the wrapping paper. Discard the wrapping paper. 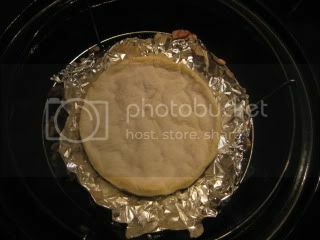 Put Camembert on a piece of foil and wrap so that only the top surface is not covered. Set it back in one half of the case. 3. 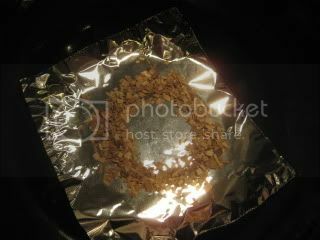 Line the bottom of IBUSHI GIN with aluminum foil. 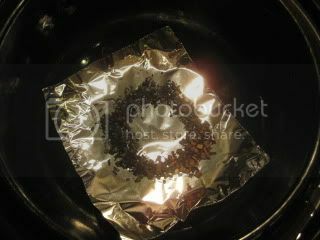 Place a small handful of smoke chips (about 1/2 oz or 15 g). Set only the middle level grate in IBUSHI GIN. 4. 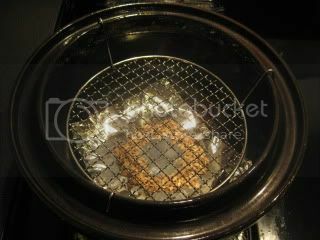 Set IBUSHI GIN over high heat (medium-high heat for the high calorie burner) on gas stove. Once the chips start smoking (about 7-8 min. 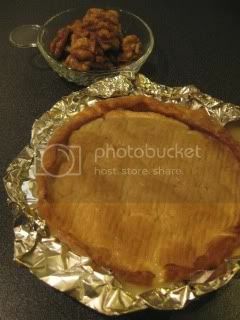 ), put Camembert in the center of the grate and put the walnuts around the cheese. Put the lid on IBUSHI GIN and fill the rim with water. Smoke for 5 minutes. 5. 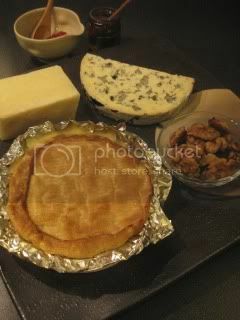 Turn off the heat and let IBUSHI GIN stand for 20 minutes (covered).Uncover and transfer Camembert and the walnuts into a serving plate. Serve immediately or at room temperature with crackers, honey, etc. Cleaning of IBUSHI GIN after use is super easy, too. 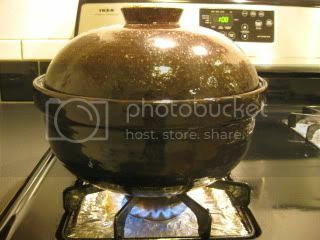 Just remove the used smoke chips and foil and rinse the donabe. 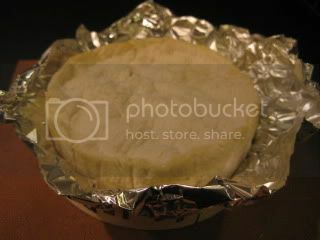 Smoked Camembert was so nicely runny and aromatic. Smoked walnuts were so nutty-smokey. They were great together on a cracker with a little drizzle of honey, too!